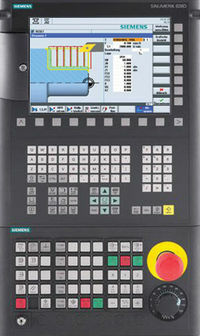 Siemens Sinumerik 810 programming example to show how cnc machinists can machine corner Radius. 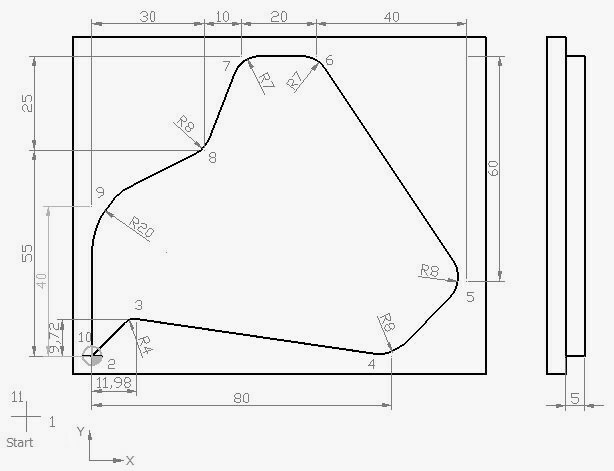 Sinumerik 810 CNC control uses U+ for radius (see example below). Sinumerik 810 CNC control uses U- for chamfer. U must be any positive numeric value like e.g U5, this will draw a radius of 5 mm.